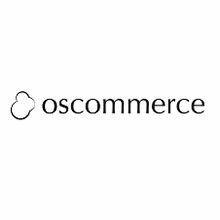 osCommerce is an easy way to get your eCommerce store up and running, but unfortunately there is no easy way to export your osCommerce products to Google Shopping. We’ve Built a Powerful Way to Get osCommerce Products Exported to Google Shopping! Although osCommerce has been around for over 13 years, there’s no easy way of getting products into a feed for Google Shopping. There are of course many clumsy add-ons (one prominent one was created in 2006, and hasn’t been updated for a long time), but they pose numerous problems like scheduling (CRON can be a clumsy way of doing so) and the inability to optimize your osCommerce feed before sending it out to Google Shopping. The other limitations of these ancient add-ons is the lack of ability to submit variant products including size and color to Google Shopping, and instead you have to submit parent-level only feeds for osCommerce to Google Shopping. You can also forget about performance driven custom labels for osCommerce, like custom labels based on ROAS and CPA. With Feedonomics you can do all of these things with your osCommerce feed for Google Shopping!